Founded in Johannesburg 1984, Highveld Thatchers continues to grow and expand. 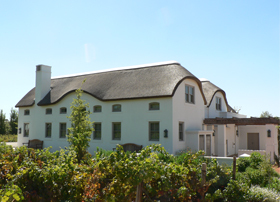 Following the launch of a new branch in the Western Cape, the name changed to Highveld Cape Thatchers. What started as a small home-run business has now grown into one of the largest thatching companies in South Africa, with a multi-million rand annual turnover. Under the competent management of a small team of professionals who rely on a highly experienced and skillful workforce, the company has a large stake in the development of the industry and expanding markets abroad. 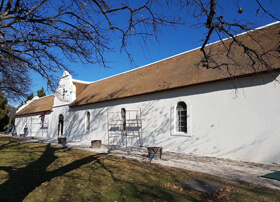 Thatching projects - some quite spectacular in scale - have been successfully undertaken not only in the Western Cape but as far as the Northern Province and beyond borders - from Livingston, Zambia to West Palm Beach in Florida, USA. 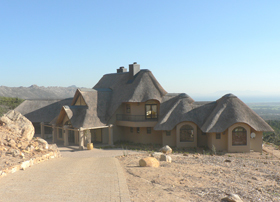 Highveld Cape Thatchers have developed African thatching into a fine art, constructing thatched roofs of the highest quality. The company also provides various types of thatching material to the industry, both locally and abroad. Value added services include treatment of thatching material, thatch roofs, maintenance of thatch roofs and an insurance programme. We also have the convenience of partnering with an affiliate company, That Pole Place which supplies materials to assist with various thatching projects. 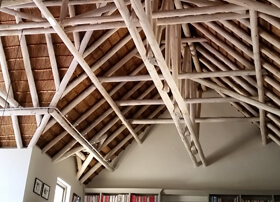 Highveld Cape Thatchers' carpenters and thatchers are expert craftsmen, many of who have been with the company for the full 25 years of its existence. In an ongoing training programme over the years, apprentices have been trained by the qualified thatchers to become quality tradesmen. 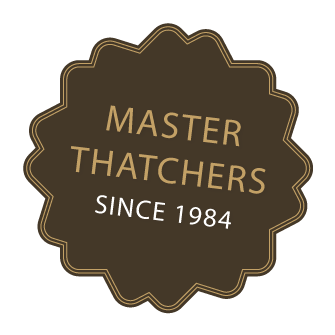 As a Highveld Cape Thatcher policy no new thatchers are appointed but are trained to a level that is in accordance with the company's high standards. A proper training programme is of utmost importance in a highly specialised industry such as this, and an efficient way to produce skilled craftsmen. 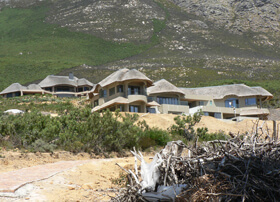 Our services extend to residential homes, holiday resorts, hotels, game reserves and beyond. We offer new thatch roofs, constructed with traditional trusses, making use of various pole types as well as new modern roof constructions with or without roof ceilings. We supply in-house roof designs, fire retardant treatments and a competent team for any additional carpentry work, such as pergolas, ceilings, fences, decks and maintenance of existing thatch roofs. 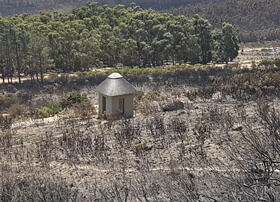 At Highveld Cape Thatchers we offer our clients the only fire retardant treatment tested in accordance with ASTM E108 as requested by SANS10407:2015 on thatch roof construction. 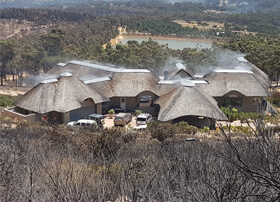 Micon Thatchsayf Fire Retardant Treatment has been tested and approved by the CSIR and FireLab as possibly the best method of rendering a thatch roof fire retardant. The Thatchsayf Fire Retardant Treatment is applied to both sides of the roof using high-pressure spray in accordance with the manufacturer Micon Coating specification penetrating deep into the thatch. Based on tests executed by FireLab it was established that by treating a thatch roof with Thatchsayf the radiation is lowered from 12kW/m•'b2 to only 0.48kW/m•'b2. 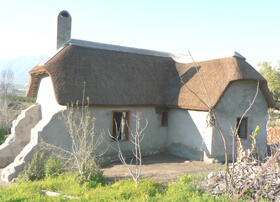 By reducing the radiation intensity of the thatch roof, the risk of the roof or house being damaged or destroyed by fire is significantly reduced. With Thatchsayf treatment, the fire protection element is inherent into the thatch, regardless of external factors. Although Thatchsayf treatment may appear more costly at first, the property owner should recover the initial capital outlay through reduced maintenance costs and insurance premiums. 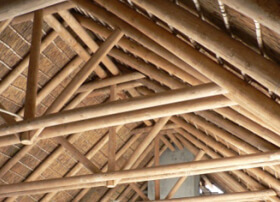 Trusses are a key interior feature in thatch-roofed homes, resorts and public spaces. The quality and standard of these trusses are of utmost importance as it ensures the durability and secure structure of your thatch-roof. 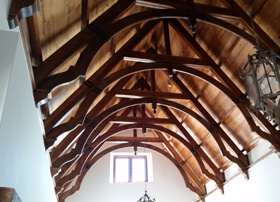 Offering a selection of structural timber poles, beams and fittings, our trusses are custom made to complement each client’s unique requirements and design style. 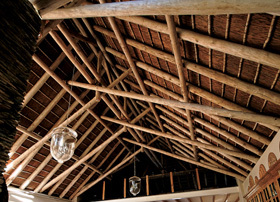 With a range of design options to choose from, we’ll help you find the perfect trusses to suit your thatch-roof. Alternatively contact us for more information. 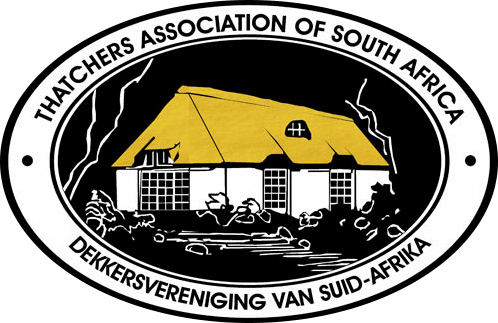 We adhere strictly to minimum specifications for thatched roofs as per Sans 10407-2015 Edition 2 and “The Guide To Thatch Construction In South Africa 2016” Edition 1. Science and Industrial Research (CSIR) and the South African Bureau of Standards (SABS). subcontractor of two hotel projects for Sun International in Zambia. 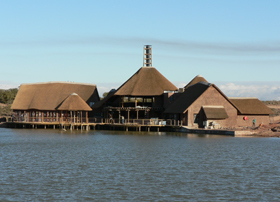 Sabie Rest Camp in the Kruger National Park, UShaka Marine World and Sibaya Casino in Durban.